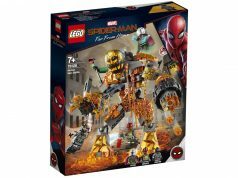 The November 2016 LEGO Store Calendar is now available and we can see some of the promotions LEGO will be having during the month. November 1-15: Free Holiday Nutcracker Ornament with purchases of $50 or more, while supplies last. 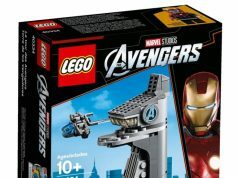 November 1-2: LEGO VIP Monthly Mini Model build will be the Fox (40218). November 19-20: VIPs get double points and early access to “Brick” Friday offers, to be announced later. 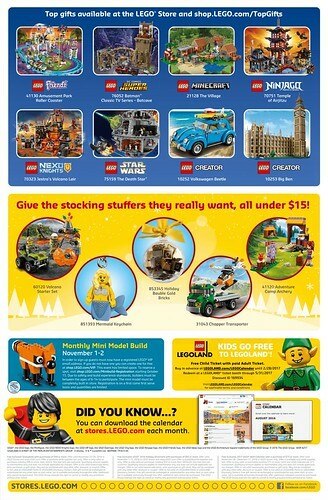 November 25-28: Free exclusive Snowglobe (40223) with purchases of $99 or more, while supplies last. 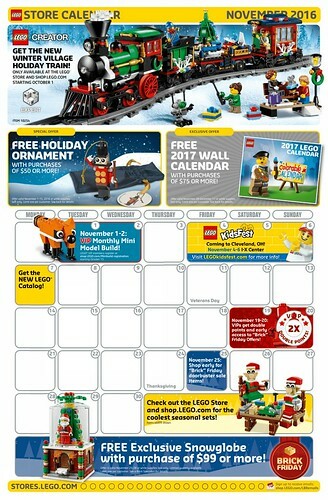 November 28-December 11: Free LEGO 2017 Wall Calendar with purchases of $75 or more, while supplies last.